Today's comparison is Live Wire by Harlan Coben. The US version has an archway with a view of the downtown area's night life. As usual, Coben's name is in large font with the title in simple caps. The UK version is more appealing. It has a vague description that states, "All families have secrets. Some will kill you." The background seems simple, but is indicative of the title. A live wire. Sometimes simple is better. I agree and i don't agree. I like the US book cover. Its more appealing and eye catching. I do agree the UK cover matches its title but its dull looking to me.If its going to be simple it must have a BANG appeal. 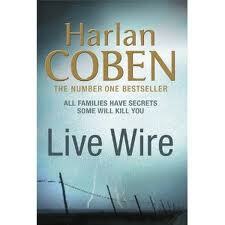 maybe a different font for the words 'live wire'. I like the UK for the live wire but they should have put more emphasis on the title instead of his name. 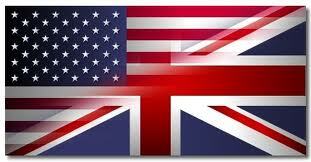 The US one would make me look but not pick it up. It looks just like all the rest of the covers in his genre. If both were on the bookshelf side-by-side, I would grab the US cover first, only because it looks like a mystery novel. Both are missing that BANG.